Home » Retirement Planning » How Much Life Insurance Do I Need? Life insurance is something most people buy to help their family with expenses when they, the policyholder, pass. 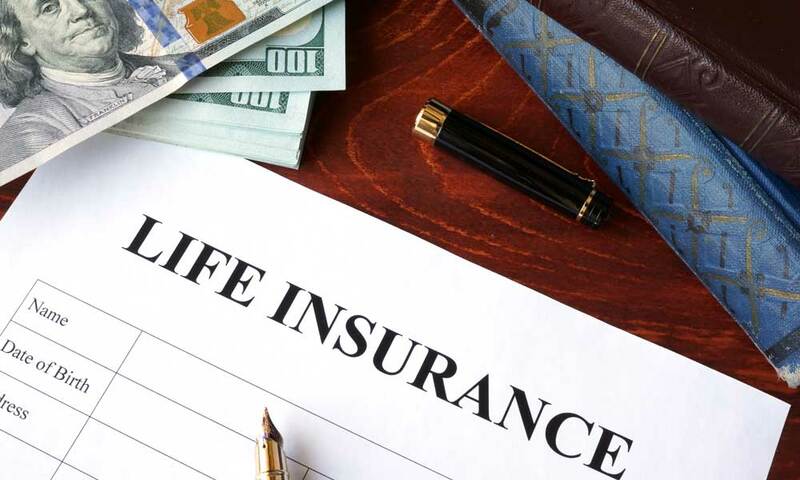 Life insurance statistics for 2017 in the U.S. show that most people buy life insurance to pay for final expenses or to provide a source of funds for the family in the absence of the insured’s income. Final expenses include costs like hospice and medical bills, funeral expenses, costs involved with settling an estate and outstanding debt. Life insurance is divided into two major types, term and whole life, although there are different types of each one. Term life insurance is only in force for a set period of time, or a term. After the term expires, you either renew or let the insurance lapse. Term premiums are less expensive than whole life premiums. Term insurance does no more than pay a benefit upon death. Most term policies have terms set at one, five, 10 or 20 years, although they can run longer. It is usually best to buy term insurance when you are younger and to buy enough life insurance to cover a more extended period. If you buy a shorter-term policy with the intent to renew, keep in mind your premiums will go up as you age. Whole life insurance retains a cash value through investments that increase along with your age, even after you stop paying premiums. Whole life policies have a set premium with a single or monthly payment. You can take loans out against whole life insurance with a guaranteed interest rate, and if you die, the death benefits are reduced by outstanding loans. The term on whole life insurance is usually 100 years, and the payout goes to your beneficiaries unless you live past the age of 100. If you do, you get the payout. Which type of insurance policy is best varies by personal preference and needs. However, whole life insurance policies have much higher payouts than term insurance does. Do you need life insurance at all? If you are single and no one depends on you financially or if no one is legally responsible for any of your debts such as a cosigner on a loan, then you might not need life insurance. When you die, your property will go to creditors with remaining amounts going to the state, or any person or charity you designated in your will. However, if anyone depends on you financially in any way, life insurance is a good idea. For example, life insurance can provide funds to your widow or widower. Also, if you still owe on a mortgage, life insurance can pay off that debt, so your family is not saddled with the cost. You will likely need life insurance to pay off other debts, so your heirs do not have to deal with them. Figuring out how much life insurance to buy can be confusing. Most experts agree that the majority of people vastly underestimate the amount of life insurance they should purchase. At the very least, consumers should start by defining their goals for their life insurance funds. Replace income: If replacing your income is the only financial hole your passing will create, calculate the income you would expect to have received over the length of a term life policy or at least 15 years for a whole life policy. Rounding up on the number of years of salary in the calculation can help offset increases in the cost of living. For example, if you earn $70,000 per year, multiply that by 15 ($1,050,000). Pay off debts: If your family is financially secure without your income, then you may only need to purchase life insurance to cover your debts and the debts of immediate family members in your household. Your obligations may include car loans, home mortgage, and other loans. Be sure to consider the potential cost of medical bills that could come with your passing. Burial expenses: While burial insurance is available, many consumers choose to add the cost of a burial in their life insurance policy values. In 2017, the average burial cost was over $8,700. If you chose to include burial costs in your life insurance policy, be sure to remember that costs will likely rise over time. Additionally, there are specific life insurance policies geared towards only covering the cost of funerals. These are known as final expense, funeral or burial insurance policies. College: If you have children or grandchildren who may want to attend college, consider adding the estimated cost of tuition to your life insurance value in case you pass before you can contribute to the cost of college. In 2017, costs of college ranged from $2,700 to over $26,000 for one year, depending on the school attended. Taxes: If your assets reach a certain level, your loved ones may face estate taxes that can gut the value of the property you left behind. 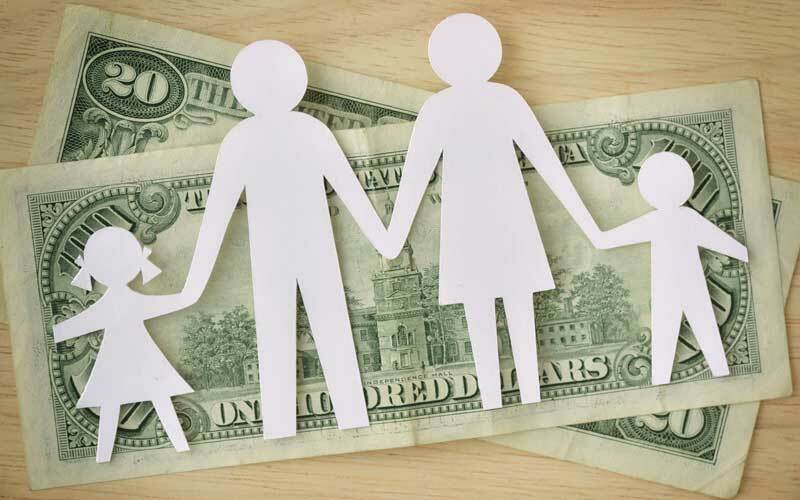 While the money received from a life insurance payout is subject to estate tax, most life insurance policy money is not counted as taxable income and is an excellent way to provide for the payment of estate taxes along with tax-free cash for loved ones. Medical expenses: While we discussed possible medical expenses from your passing, consider future medical costs for family members with special needs when calculating the level of your life insurance. For example, if your spouse has a heart condition or his or her family has a history of dementia, they may require a lot of medical care in the future. Your life insurance policy can ensure that they will always be cared for should something happen to you. There are two rules to consider when you’re trying to determine how much life insurance you’ll need to meet your family’s needs once you pass. Get a policy worth 10 times your income, plus $100,000 per child for college expenses: This rule stems from and adds an extra level to an outdated rule of multiplying your income by 10. If you have kids, making sure their education is covered, or at least mostly covered, might be an important thing to consider when thinking about a life insurance policy. The “10 times income” rule is outdated because it doesn’t consider your family’s detailed needs or your savings and investments. The DIME formula: This is where you dive into a more detailed look at your finances. Debit, Income, Mortgage and Education (DIME), lets you look at the four major areas you want your life insurance policy to cover. Debt and final expenses: Not including your mortgage, add up your debts and estimate how much your funeral expenses might cost. Income: Choose the number of years your family will need to be provided for and multiply your salary by that number. Consider the number of years until your youngest child graduates high school. Mortgage: Calculate how much your family will need to pay off your mortgage. Education: As closely as you can, estimate how much it will cost to send your children to college. How Many Life Insurance Policies Should You Have? Once you have calculated how much life insurance you want to purchase, you should consider how many plans you will buy. While you might buy one term or whole life policy to cover most concerns, smaller term plans can also help fill in temporary extra needs of life insurance at different stages of your life, such as paying college expenses for children. Whole life insurance is for providing insurance permanently, throughout your entire life. Term insurance will cover you for a shorter period, although this may be 20 years or more. Term insurance is an excellent option if you’re a young family since you may not need as much coverage after your children leave home. Whole insurance is pricey, and term insurance is affordable especially when you are younger. How much life insurance you need will vary throughout your lifetime. Sitting down with your spouse, family, and a financial consultant can help you calculate what needs will exist after your passing and prepare for different needs at various stages of your life. Be sure to review your life insurance amounts against needs whenever financial situations change for you and your family to prevent an unintended shortfall in coverage should an unexpected death occur. As you age, be sure to monitor any age restrictions on your life insurance policy to prevent unwelcome surprises that might reduce or eliminate insurance payout in the case of your death.